Meter is the organization of music as it unfolds in time, serving as the framework for the music's rhythm. The meter, or time signature, is identified at the beginning of a piece of music by two numbers resembling a fraction. The top number shows how many beats are in the visual measure, and the bottom number represents the kind of note that gets one beat. The beats in most traditional music are grouped in twos (duple) or threes (triple), or a combination of twos and threes, depending on where the pattern of emphasis falls (rhythm). Every other beat or every fourth beat has emphasis in duple meter. In traditional music, each measure has two, four or eight beats in traditional music, but experimental music sometimes employs more. 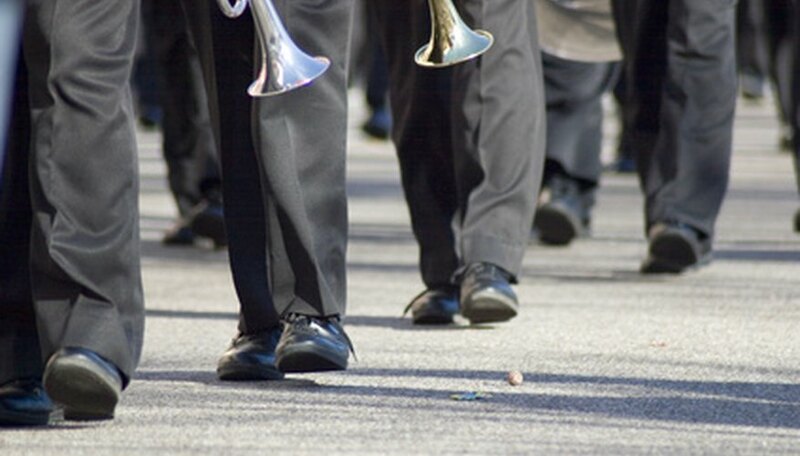 Duple-meter music is used for marches, with the emphasis always happening when the right foot steps. Examples of duple time signatures are 2/4, 4/4 and 4/8. A listener would not necessarily be able to recognize which meter is being used, but only that the music is duple. Beats are organized in threes in triple meter. The first and fourth beats of six are emphasized. This is the meter used for waltzes, where the feet alternate each emphasized beat (RIGHT-left-right, LEFT-right-left). Examples of triple time signatures are 3/4, 6/8 and 12/8. Sometimes when the bottom number is 8 and the beat is fast, the music will be counted and conducted as if three beats are combined into one. In this case, a 6/8 time signature would be counted as if it has two beats, and each is subdivided into three. A conductor lets the musicians know which way he will conduct by saying either "in two" or "in six." Music from many cultures and experimental music may have irregular meters. Because the emphasis of the beats is not evenly spaced, the music must be learned by ear or notated with accent marks or some other indication to the performer. 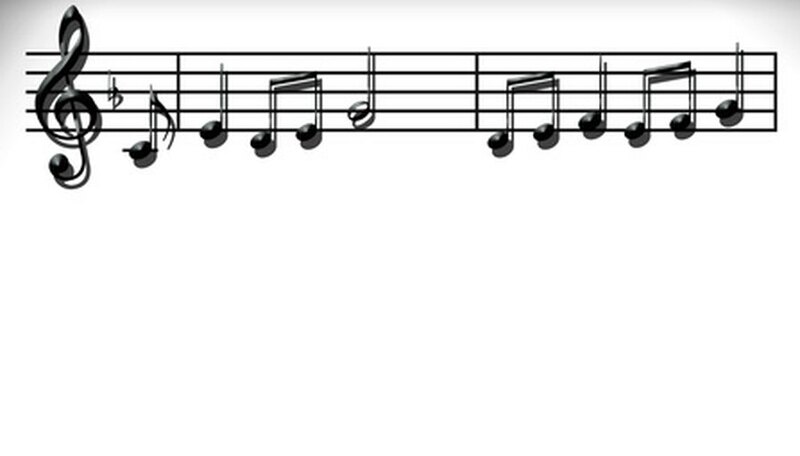 Sometimes composers use alternating or random traditional time signatures to make clear to the performer where the accents are, but in this case the listener would not discern a regular pattern. Margaret Montet has been a freelance writer for five years and a librarian for 20. She has master's degrees in library science and music theory. She writes extensively about America’s oldest seashore resort, Cape May, N.J. Montet has published articles in "Edible Jersey," "The Traveler," "Twin Capes Traveller," "Chesapeake Family" and "Go!" on topics including medieval art, murder mystery dinner parties, cranberries and quilting. What Does Andante Mean in Music?